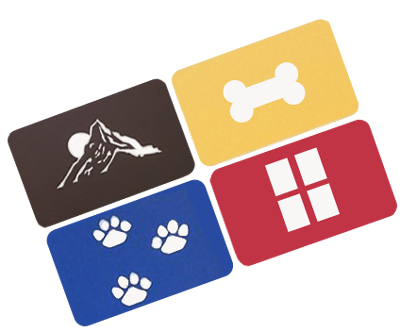 Stone Mountain Pet Products is pleased to present our brand new line of Privacy Curtains, for your facility's boarding suite glass panels. 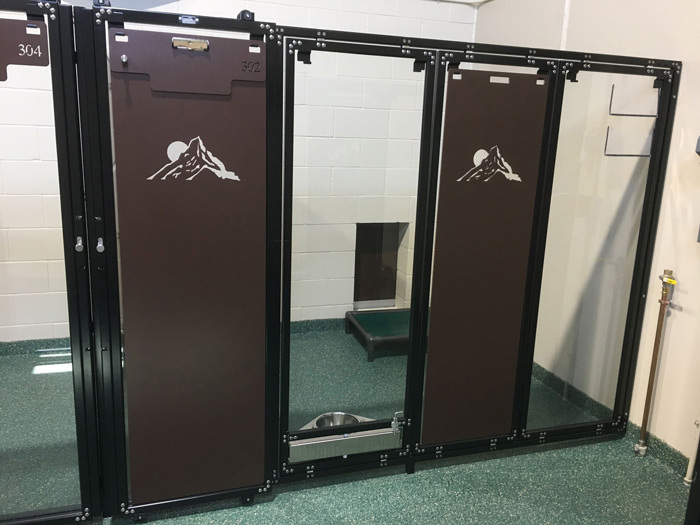 These luxury panels add privacy to tempered glass suites for when they are housing dogs that are timid and need a little extra security or to hide distractions from more noisy or aggressive dogs. Privacy curtains attach to built in hooks on gates and come with wall storage hooks to hang panels while not in use. 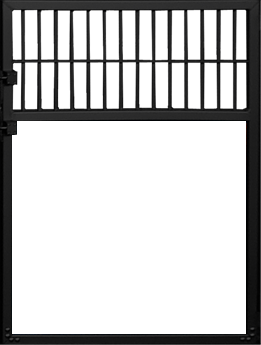 They easily can be hung or removed on either swinging or sliding tempered glass gate panels. Can be used with our custom suite number boards. Mountain image privacy curtains installed on a tempered glass Boarding Suite. Also shown are a single swivel bowl feeder and custom number suite board with document clip. Privacy Curtains are available in 10 colors!. Contact a sales representative for more details on lead times and pricing. Many color choices are available with lead times up to 8 weeks and additional cost, depending on the color chosen. We've chosen to demonstrate black because it is our most commonly picked color and works well with many of our panel colors.